Arriving at out hotel a busload of German tourists scurried over and wanted photos with us. They had seen the CCTV news segment about our border crossing. 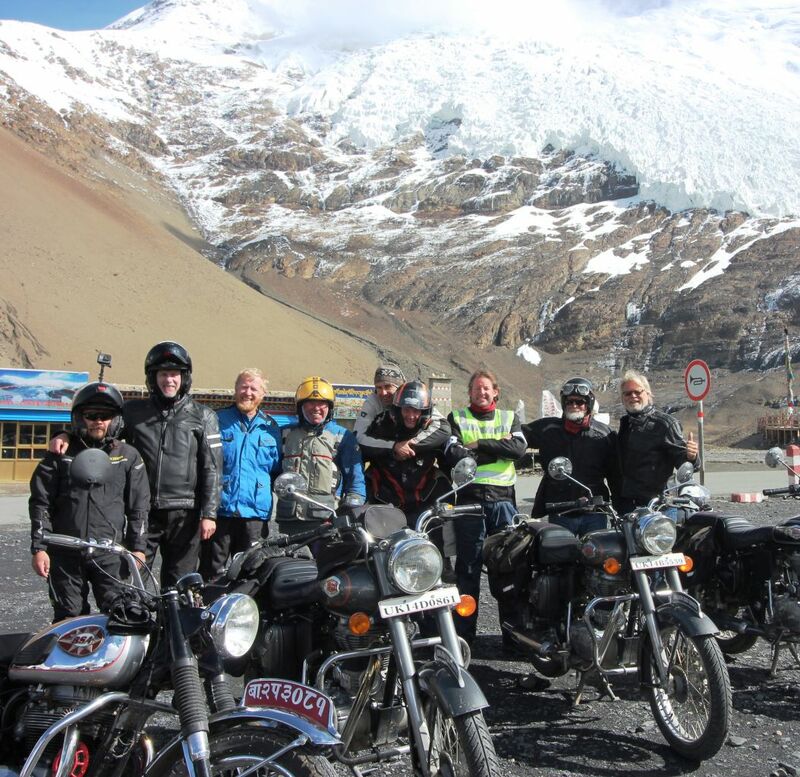 The Himalayan 7 had attained celebrity status in Tibet. “Where are you from, What are you riding? Where are you going? The questions flew. We later found out the segment included video of us riding through villages, recorded by Chinese surveillance cameras. 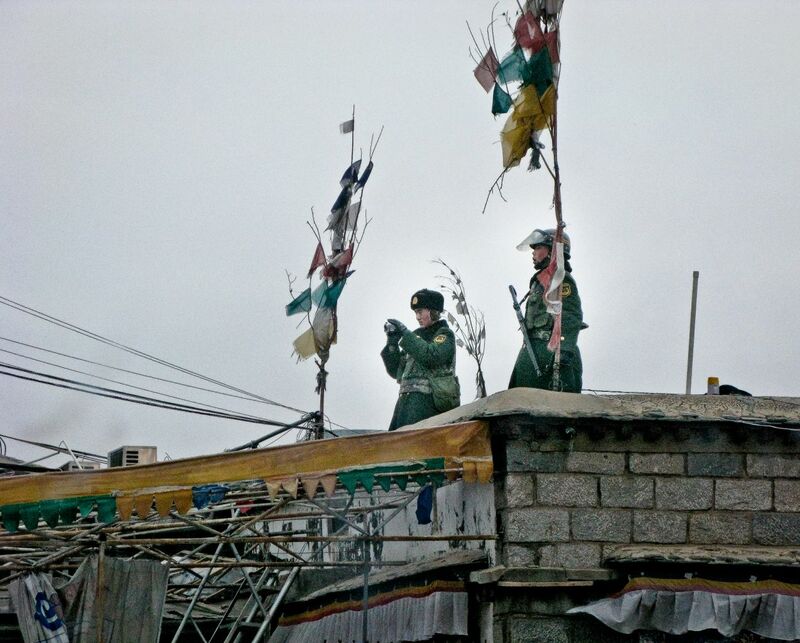 The Chinese use a Grid Management system in Tibetan Cities. Grid management is part of a broad governmental objective to enable it to carry out “social management” alongside “stability maintenance.” Thousands of cameras are placed in discrete and intentionally obvious places all monitored by Chinese authorities. According to official statements it’s designed to “catch incidents early, catch them when they are small, catch them quickly, and eliminate them completely.” I found out what those cameras looked like and from then on gave the one finger salute as I passed. Let’s see if our celebrity status affords us free speech. Shigatse Tashilhunpo Temple was founded in 1447 by the 1st Dalai Lama and is a historic and culturally important monastery in Shigatse, the second-largest city in Tibet. 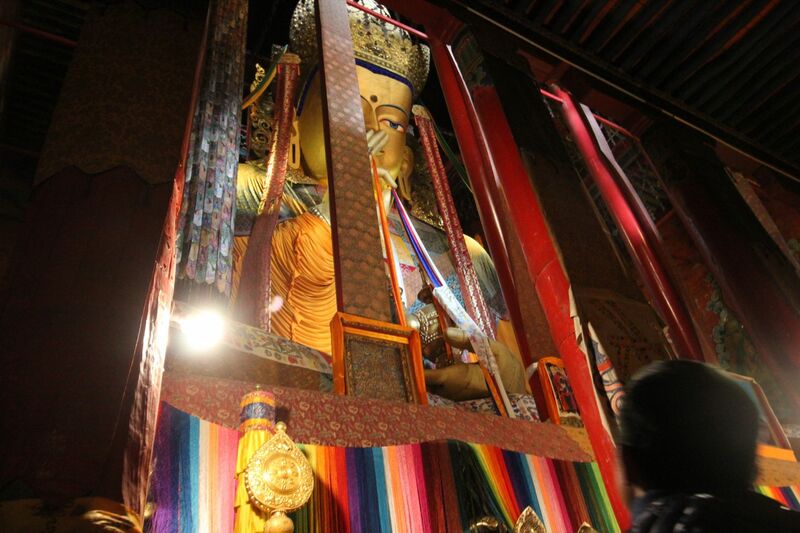 The monastery is the traditional seat of successive Panchen Lamas who are second only to The Dalai Lama. It contains the world’s largest gilded copper image that stands over 85 feet tall. Although two-thirds of the buildings were destroyed in the Chinese Cultural Revolution, they were mainly the residences for the 4,000 monks. The monastery itself was not as extensively damaged as most other religious structures in Tibet, for it was the seat of the Panchen Lama who remained in Chinese-controlled territory. 1000 monks currently reside here including the 11th Panchen Lama. He was appointed by the People’s Republic of China and has been enthroned here. The true Panchen Lama, Gedhun Choekyi Nyima, chosen by the Dalai Lama as the 11th Panchen Lama has been imprisoned by Chinese authorities since 1995. 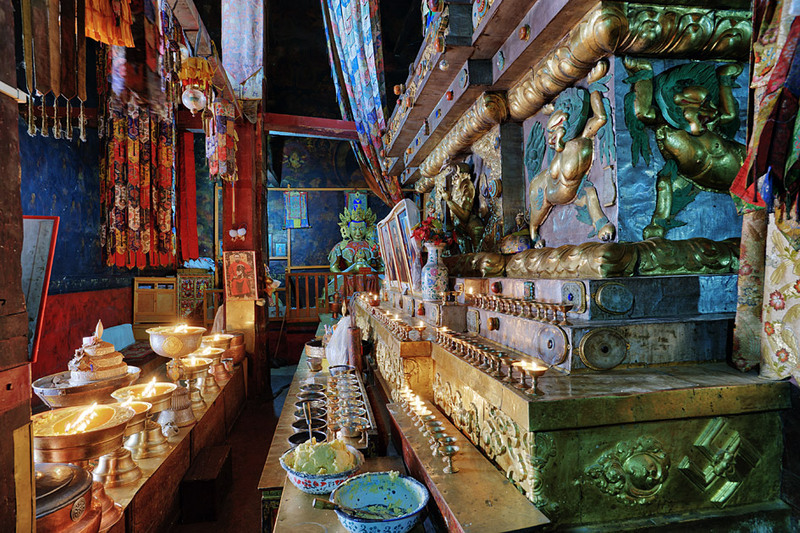 This temple is a mausoleum for the remains of Dalai Lamas. 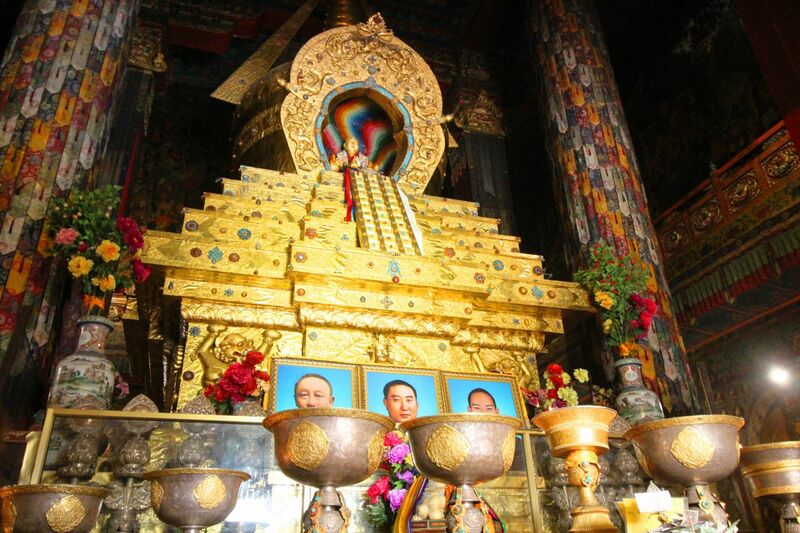 The Second, Third, and Fourth Pachen Lama, who was tutor to the Fifth Dalai Lama, are preserved in a stupa at Tashilhunpo. Reliquaries for the Fifth through Ninth Panchen Lamas were destroyed by the Chinese in the 1960s. World’s largest gilded copper image that stands over 85 feet tall. It was here the police state became painfully apparent. Passing through metal detectors, physical pat downs, baskets filled with confiscated lighters to prevent self-immolation.The Chinese military wielding firearms and fire extinguishers watch over the crowds with binoculars. I only saw one other group of western tourists my entire stay here. It’s just not that easy to get in. Himalayan Roadrunners provides all documents, papers, passage and protection.